Nursing education encompasses instruction at the undergraduate and graduate levels as well as professional development and in-house training within medical centers, long term care facilities and anywhere else nurses practice. 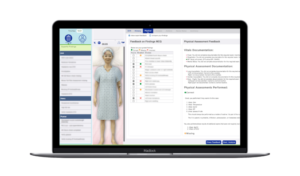 Nursing Simulation, a subset of healthcare simulation, is the modern day way to educate and train nursing professionals without risking patient injury. 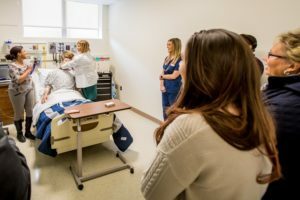 Historically, initial nursing education consisted of short periods of classroom lectures intermingled with extensive periods of bedside nursing. Over the last century, nursing education has moved into educational institutions such as community colleges and four-year universities. At these schools, educational methodologies included lectures with visual aids and case studies, skills lab practice and clinical rotations. 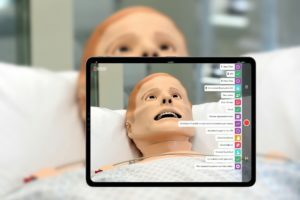 HealthySimulation.com is dedicated to providing the latest clinical simulations for nursing education news and resources from around the world. To follow along, sign up for our free nursing simulation email newsletter, follow @HealthySim on Twitter and @HealthySim on Facebook, or join our HealthySim LinkedIn Group! 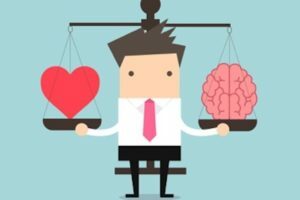 No matter how many lectures a learner attends or how much reading they do, there is no substitute for hands on experience and yet, face to face patient experience is often limited in undergraduate education. A gap between theory/skills lab experiences and bedside nursing existed and both students and new graduates often found difficulty adjusting to real life practice. And then came simulation in healthcare! 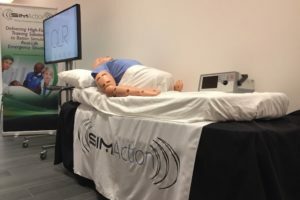 Next, let us consider what is nursing simulation specifically and why has it become a widespread methodology for educating nurses at every level? Read on for the answers! 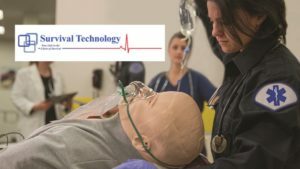 First and foremost, nursing simulation is a technique and not a technology. People unfamiliar with medical simulation often think that complex and sophisticated equipment is an essential component of simulation however, it is not the equipment but rather the educational methodology which is the key element and which allows students and nurses to “think on their feet, and not in their seat”. Nursing simulation provides an opportunity for students and qualified nurses to practice responding to various clinical situations and then to reflect on how they performed, what went well and what needs to be changed. This is the key to developing clinical skills and judgement. Only the learners themselves can change the response (behavior) in any given situation. Nursing simulation is being used not only in formal nursing education but also in medical facilities for ongoing training (e.g. Basic Life Support and Advanced Cardiac Life Support), introduction to new protocols (e.g. sepsis and stroke) and to prepare nursing staff for clinical situations which occur rarely and for which, without regular practice, nurses may be unprepared (e.g. postpartum hemorrhage and pediatric critical events). 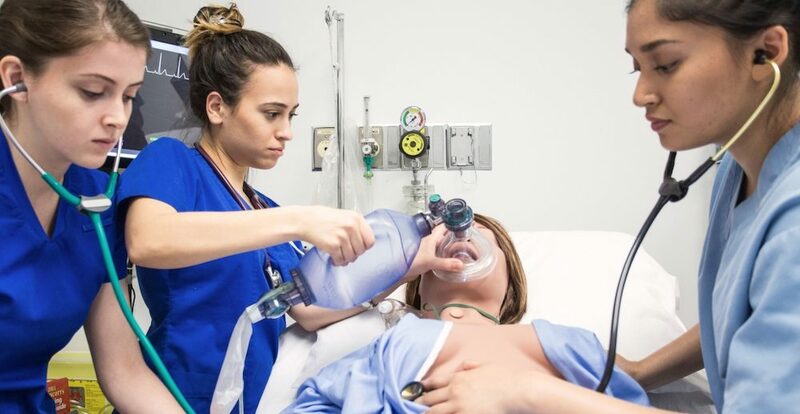 Nursing simulation training is particularly useful in situations that require a rapid team response involving the so called “soft skills” such as communication and team interactions. Each Nursing Simulation should have a detailed scenario (script) with clearly identified learning outcomes.  Scenarios are developed by simulation educators and or content experts and are designed so that the learners can complete the learning objectives with the time allotted to the simulation. Typically, simulation involves three components. 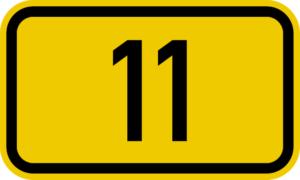 The period prior to a simulation is known as a prebrief. Depending on the level of the learner, the prebrief may involve giving learners an introduction to a patient or particularly for new students, sending information out a week ahead so students can prepare for the simulation day as they would a clinical day. Sometimes the prebrief may consist of a review of standards that will be applied during the simulation while at other times, the prebrief may be limited. The second component is the actual simulation scenario. 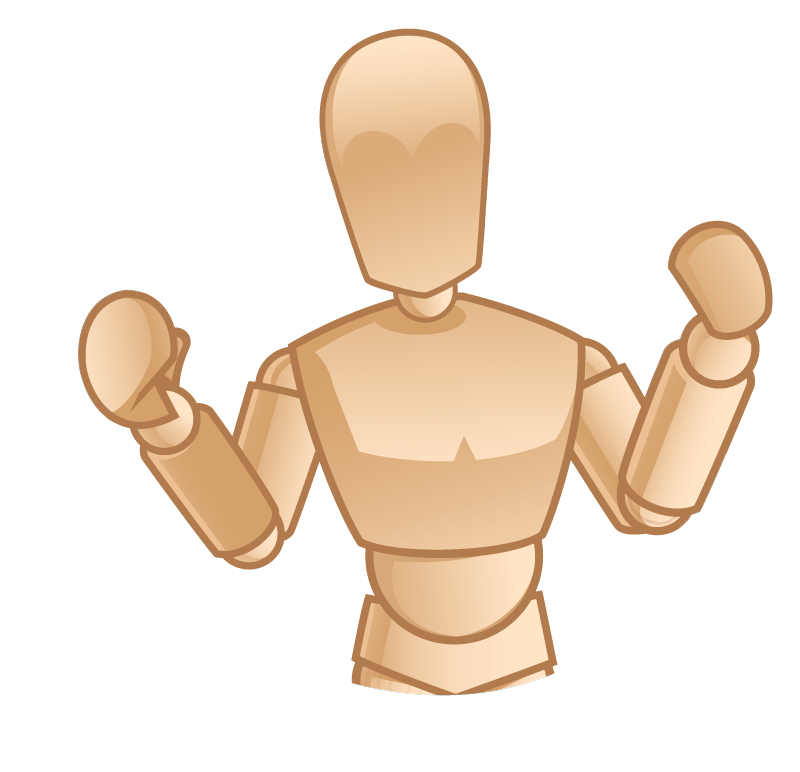 The scenario involves the care of a patient (actor, manikin, fellow student or nurse) with the required medical history. The patient’s response will depend on the interventions of the nurse or student. 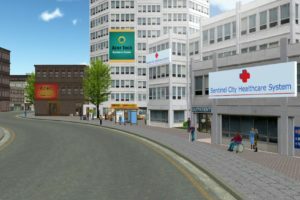 An attempt is made to match the simulation scenario to the clinical setting as much as possible. This is known as environmental fidelity, which is usually increased with the use of medical makeup or moulage, to better represent realistic patient presentations. Without environmental fidelity, learners have to pretend they are using missing equipment. 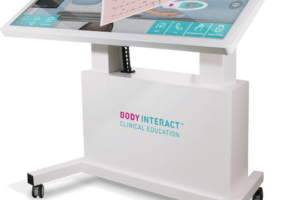 This detracts from learning and creates a situation where students will not know how to operate equipment in the hospital which in turn could potentially cause patient harm. The final and most important stage of the simulation is the simulation debriefing. During this time, the learner reflects on their own behavior and decides whether it was appropriate or whether they need to make changes. Click Here for Free Nursing Simulation Scenarios! The literature is full of examples of the benefit of simulation in nursing education and training. 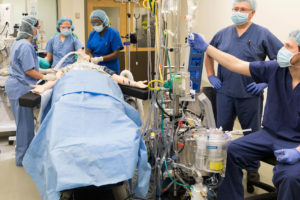 For any simulation to be successful, the school or medical center must ensure that their program is based on current best practice and is taught by well-trained experienced faculty. 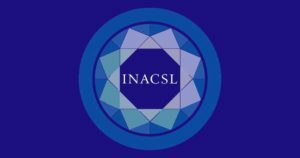 Free standards can be found at the International Nursing Association for Clinical Simulation and Learning (INACSL) website. Many schools and medical centers have a simulation laboratory or simulation center (simulation centre) where they conduct high fidelity simulation and where they house various simulation equipment such as birth simulators. 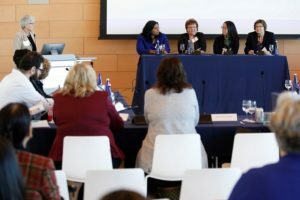 Simulation has become such an important part of nursing education that many boards of nursing review and approve simulation practices at each accredited school. Indeed, Nursing Simulation is one of the major teaching methodologies recommended by QSEN (Quality and Safety Education for Nurses). 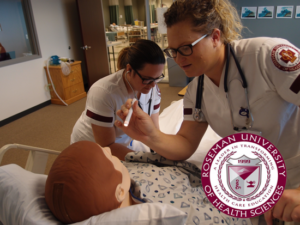 Simulation provides students and qualified nurses a safe learning environment where safety, culture, communication, teamwork, rare clinical conditions, bedside emergencies and many aspects of modern healthcare can be experienced in a realistic environment. 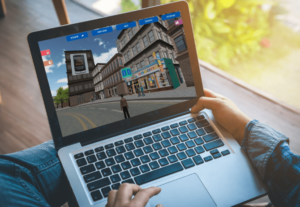 9 Key Questions on Simulation-Based Learning, Answered! 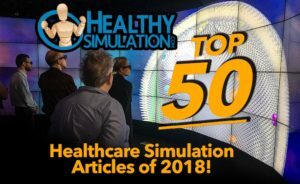 Top 50 Healthcare Simulation Articles of 2018!